Thanks so much for visiting the GCall website. Here, you’ll be able to find all of the information pertaining to the services that we offer at our company. Take a look around and make yourself feel at home! Georgia has a lot of trees. Consequently, there are plenty of tree service companies here. Prospective customers are always asking us what the big deal is about GCall. We think this is a great question because it allows us to show off everything that is awesome about our company. We’ve listed some of the things that customers really like about us below. Keep reading and stay tuned to learn why you should call US for your next tree service appointment. For one, our prices are extremely competitive. Most of the time, you will be hard pressed to find a company that will do a quality tree job on your property for cheaper than we do. We want you to be excited about great tree service, but we also want you to be totally jazzed on great low prices. One of the things that we are very proud of is the work that we do here at GCall. There is an old saying that states that the “proof is in the pudding.” We think that this holds true on our end at this company. We do some of the best quality work around, period. Our customers have rated us as one of the best companies in Georgia year in and year out. We’re all about progression and improving on our previous work. 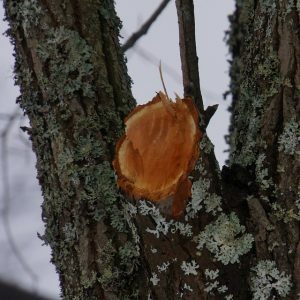 This is why we do our best to stay up to date on the most cutting edge technology there is in the world of tree removal, branch cutting, and other tree services. Many customers find it hard to believe that we just keep getting better at what we do! Another thing that our customers are always raving about is our kind and diligent team of workers here at GCall. We’re committed to treating our customers with the good old “Southern Hospitality” that we learned from our parents. We’re prepared to go the extra mile for you and your trees! Check out our affiliate companies if you need tree care anywhere else in the country!